AV Trophy & Uniform Co.
Everyone loves being recognized for their hard work and accomplishments. 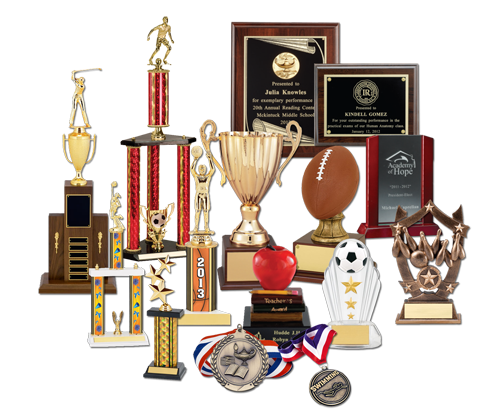 Reward the people you care about with beautiful customized trophies and plaques from A V Trophy & Uniform Co of Lancaster, CA. The perfect award awaits you! We service the entire Antelope Valley. Great service. Very attentive to all my needs. I purchase all my tournament trophies and awards here. They are always ready to be picked up in a timely manner. I called AV trophy needing badges made pretty much over night. I emailed him the information he needed and he designed them and had them printed out the next morning ready for me to pick up. Working with Jim at AV Trophy was such an amazing experience! He is fast and efficient. His engraving work is BEAUTIFUL. And his prices can't be beat. Since 1956, we provide quality award materials you will love.